An NBA legend, Michael Jordan was inducted into the Naismith Memorial Basketball Hall of Fame in September 2009. As a player, Jordan virtually rewrote the record book. He played 13 seasons for the Chicago Bulls, leading the league in scoring a record 10 times. His 30.1 points per game average is the highest in NBA history and, with 32,292 points, he ranks fourth on the all-time scoring list. Jordan led the Chicago Bulls to six NBA Championship titles and was named NBA Finals MVP during each of those series. A five-time regular season MVP, in 1991 and 1992, he became the only player to win back-to-back regular season and Finals MVP awards. In March 2010, Jordan became the majority owner of the Charlotte Bobcats, after four years as part of the team’s ownership group and its Managing Member of Basketball Operations. Jordan is the first former player to become the majority owner of an NBA franchise. Under his direction, the team changed its name to the Charlotte Hornets prior to the 2014-15 season, bringing the historic moniker back to its fans and the city. 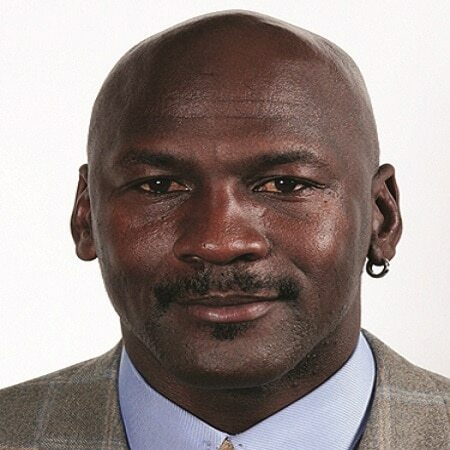 Off the court, Michael Jordan has also proven to be a successful businessman. Since its creation, his Jordan Brand (a division of NIKE) has been an innovator of athletic shoes and apparel. The Jordan Brand has grown to become a market leader under Jordan’s creative design input. As one of the world’s most popular and recognizable figures, Jordan’s endorsement portfolio includes Gatorade, Upper Deck and Hanes, among others. Jordan’s other business ventures include several thriving restaurants. Jordan strongly believes in giving back to the community. He supports many charitable causes that provide opportunities for at-risk youth, help kids with disabilities and illnesses, and teach and mentor children, including the James R. Jordan Boys and Girls Club in Chicago and the James R. Jordan Foundation, among others. Jordan has also served as Make-A-Wish’s Chief Wish Ambassador since 2008. During its 13 years, his Michael Jordan Celebrity Invitational golf tournament raised more than $7 million for many worthy charities. This summer, he became a founding donor to the National Museum of African American History and Culture in Washington, DC. Jordan and his wife, Yvette, have two daughters, Victoria and Ysabel. He also has three children, Jeffrey, Marcus and Jasmine, from a previous marriage. 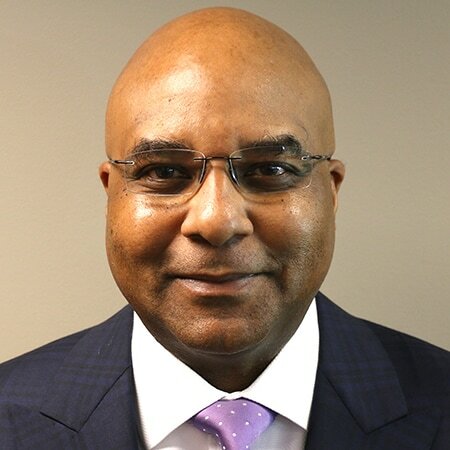 Curtis Polk is the Vice Chairman of Hornets Sports & Entertainment. In addition, he manages the financial and business affairs of Michael Jordan and his related companies. 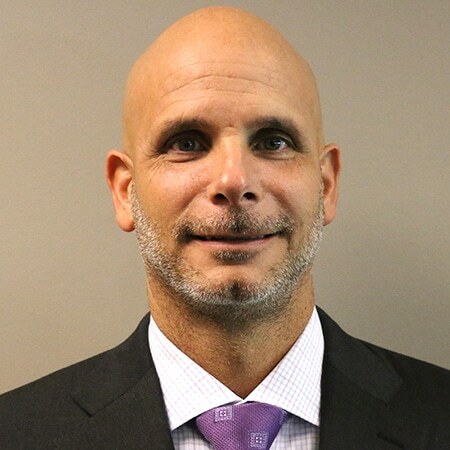 Prior to working exclusively for Jordan in 2001, he was an Executive Vice President of SFX Sports and was President of its related financial services affiliate SFX Financial Advisory Management Enterprises. He founded Falk Associates Management Enterprises (FAME) with David Falk in 1992. In May 1998, FAME merged with SFX Entertainment, the country’s leading producer, promoter and presenter of live entertainment events. Polk was involved in the integration and consolidation of all the sports properties under the SFX Entertainment umbrella into a single business entity. During the summer of 1996, Polk negotiated four of the five highest contracts in NBA history. He negotiated Alonzo Mourning’s $105 million contract with the Miami Heat and Dikembe Mutombo’s $56 million contract with the Atlanta Hawks. Polk was the key player in asserting Juwan Howard’s rights during the contract dispute between the NBA and the Miami Heat; he subsequently negotiated Howard’s $105 million deal with the Washington Bullets. He assisted David Falk in negotiating Jordan’s record-setting contracts in 1996 and 1997. Polk served as Co-Producer of Space Jam, starring Jordan and the Looney Tunes. Space Jam, Warner Bros. first full-length film featuring the Looney Tunes, grossed a record-setting $29.3 million during its opening weekend. Polk also was an Executive Producer of Michael Jordan to the Max, an IMAX format movie released in May 2000. A 1981 graduate of the University of Maryland, Polk earned his law degree at the National Law Center at George Washington University in 1988 and served on the Center’s Law Review. Polk was named to the Sporting News’ “100 Most Powerful People in Sports” list in 1997 and 1998. He was also selected to the Sports Business Journal’s “40 Under 40” in 1999. The 57-year-old Polk began his career as a Certified Public Accountant for Touche Ross and Co. in Washington, DC in 1983. Polk and his wife, Amanda, are involved in many Washington charities including Johns Hopkins affiliate, Suburban Hospital, Kids Enjoy Exercise Now (KEEN) and DC Humane Society. 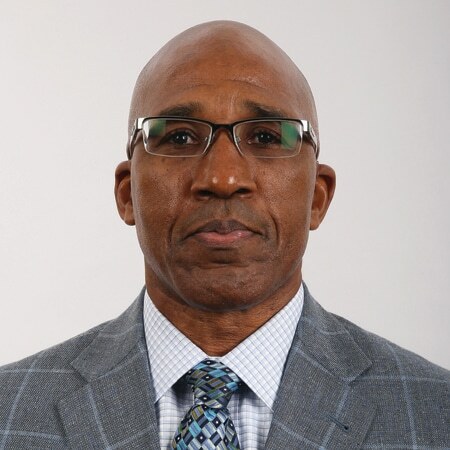 A talented sports executive with experience as a player, coach, agent, sports marketer and basketball operations administrator, Fred Whitfield joined Hornets Sports & Entertainment (formerly Bobcats Sports & Entertainment) as President & Chief Operating Officer in July 2006. In this role, Whitfield oversees all business operations for the Charlotte Hornets and Spectrum Center, including the team’s name change from Charlotte Bobcats in the summer of 2014 and the arena’s rebranding in the summer of 2016 following naming rights partner Time Warner Cable’s merger with Charter Communications. Since coming to Charlotte, Whitfield has overseen the dramatic growth of both the franchise and arena. Along with overseeing the team’s rebranding, Whitfield led efforts in recent years that resulted in securing $40 million in renovations for Spectrum Center. Additional accomplishments during his tenure with the organization include securing the 2019 ACC Men’s Basketball Tournament, reaching long-term agreements with Ticketmaster to serve as Spectrum Center’s ticketing provider and Live Nation to book the arena’s entertainment, hosting the 2012 Democratic National Convention, simultaneously signing an arena naming rights deal with Time Warner Cable and a television broadcast rights deal with Fox Sports, and making the largest donation ever given to Charlotte-Mecklenburg Schools by a professional sports franchise. He also led the efforts to secure the 2017 NBA All Star Game and re-securing it after the repeal of HB2. A native of Greensboro, North Carolina, Whitfield brings a portfolio that includes the Jordan Brand, a division of Nike, Inc.; the Washington Wizards; Nike Basketball; Falk Associates Management Enterprises (F.A.M.E. ); and a private law practice. Before joining the organization, Whitfield most recently served as Director of Business and Legal Affairs for Jordan Brand, where he managed endorsements and sports marketing strategy. Jordan Brand’s clients include and included some of the top athletes in professional sports. From 2000-03, Whitfield served as Director of Player Personnel and Assistant Legal Counsel for the Washington Wizards. While there, he was responsible for the team’s salary cap administration, contract negotiations and overseeing player scouting. He is widely credited with facilitating the methods to correct the team’s troubled salary cap situation, enabling that franchise to rebuild through trades and free agency. Whitfield served as Director of Player Development for Nike Basketball prior to joining the Wizards. At Nike Basketball, he was responsible for scouting new potential endorsers, negotiating endorsement contracts and overseeing business and marketing strategies for more than 150 NBA players. His career in sports began as a player agent representing professional athletes with F.A.M.E. as Director of the Carolinas Region, based in Greensboro. Before joining F.A.M.E., Whitfield established and managed a successful law practice in Greensboro. A graduate of Campbell University, Whitfield was an All-South, team MVP and basketball team captain player and was inducted into the school’s Sports Hall of Fame in 1995. He earned a BBA degree in Economics and then completed his MBA at Campbell while serving as Assistant Basketball Coach for the Camels. From there, he earned a Juris Doctorate Degree from North Carolina Central University School of Law where he served as Student Bar Association President. Whitfield also founded HoopTee Charities, Inc, a North Carolina based non-profit corporation whose mission is to provide scholarships for disadvantaged youngsters to attend camps and educational youth based programs across the country. In addition, for the past 33 years he has run, which he founded, the Achievements Unlimited Basketball School in Greensboro and Charlotte serving more than 10,000 kids, including many who attend on need-based scholarships. In recent years, Whitfield has received the prestigious Thurgood Marshall Award of Excellence (2011) and YMCA George Williams Award (Volunteer of the Year 2012), as well as the Key to the City of Greensboro (2013). He currently serves on the Charlotte Chamber of Commerce Board, Charlotte Sports Foundation Board of Directors, Campbell University Board of Trustees and Charlotte Executive Leadership Council. Whitfield and his wife Mary reside in Charlotte. A 10-time NBA Champion as a player and executive, Mitch Kupchak was named President of Basketball Operations & General Manager of the Charlotte Hornets on April 8, 2018. In this role, Kupchak oversees all aspects of the team’s basketball operations, including personnel decisions, salary cap management, contract negotiations, draft preparations and scouting of professional, collegiate and international players. Kupchak has more than 30 years of experience as an NBA executive with the Los Angeles Lakers, including 17 seasons as the team’s lead basketball executive. He joined the front office as assistant general manager immediately after retiring as a player in 1986 and worked under a pair of Hall-of-Famers: legendary NBA executive Jerry West and Bill Sharman, the first person to win a championship as a player, coach and executive. Kupchak was promoted to general manager in 1994 and served as the team’s lead basketball executive from 2000-2017, during which the Lakers won four NBA Championships and six Western Conference Championships, posting a 747-607 (.552) regular-season record and a 111-66 record (.627) in the postseason. The 13th overall pick in the 1976 NBA Draft, Kupchak spent 10 seasons in the NBA with the Washington Bullets and the Lakers, averaging 10.2 points and 5.4 rebounds in 510 regular-season games. He earned First Team All-Rookie honors in 1976-77 after averaging 10.4 points and 6.0 rebounds and ranking second in the NBA in field goal percentage at .572 behind only league MVP Kareem Abdul-Jabbar. The following season he averaged career highs of 15.9 points and 6.9 rebounds as the Bullets won the 1977-78 NBA Championship. After five seasons in Washington, Kupchak was traded to the Lakers prior to the 1981-82 NBA Championship season. He averaged 14.3 points and 8.1 rebounds in his first 26 games in Los Angeles before suffering multiple severe injuries to his left knee on December 19, 1981, that caused him to miss the remainder of the season and the entire 1982-83 campaign. Despite two major operations and the expectation that he would likely never play again, Kupchak returned to action on November 25, 1983, more than 23 months after the injury. He went on to play another two seasons after that, helping the Lakers to the 1984-85 NBA Championship, before retiring in 1986. Kupchak played collegiately at the University of North Carolina, where he was the first freshman to play varsity basketball after the freshman eligibility rules changed prior to the 1972-73 season. In 119 career games, he averaged 13.5 points and 8.5 rebounds, while shooting .586 from the field. Kupchak earned First Team All-ACC honors and All-ACC Tournament Team honors in both 1974-75 and 1975-76. As a junior, he averaged a career-high 18.5 points and 10.8 rebounds, and ranked eighth in the NCAA with a field goal percentage of .602. As a senior in 1975-76, he was named ACC Player of the Year and was a Consensus Second Team All-American after averaging 17.6 points on .576 shooting from the field and 11.3 rebounds. Kupchak, who currently ranks fifth in school history with 44 career double-doubles and eighth in both career field goal percentage (.589) and career rebounds (1,006), had his No. 21 jersey honored and placed in the rafters of the Dean E. Smith Center in November 1994. During the summer between his senior season at UNC and his rookie season in the NBA, Kupchak was the starting center for the gold medal-winning United States Men’s National Team at the 1976 Olympics in Montreal. He also won a gold medal for the United States in the World University Games in Moscow in 1973. Kupchak received his MBA from UCLA in February 1987. He and his wife, Claire, have one son, Maxwell, who recently completed his junior season on the men’s basketball team at the University of California-Santa Barbara. 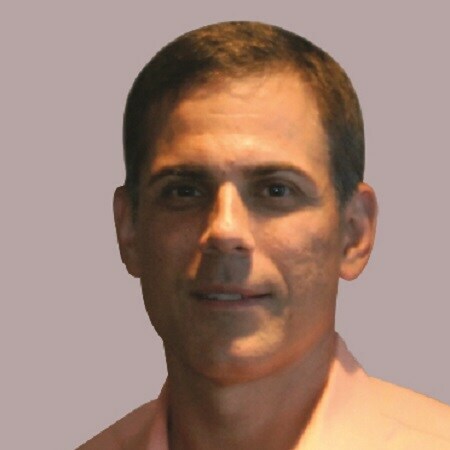 Pete Guelli is in his ninth season as the organization’s Executive Vice President and Chief Sales & Marketing Officer, having joined the franchise in April 2009. Guelli, who is responsible for all marketing, communications and revenue generation for the organization, oversees the marketing, ticket sales and services, business intelligence, box office operations, corporate partnerships, retail, broadcasting, communications and corporate social responsibility departments. He also serves as the president of the team’s charitable arm, the Charlotte Hornets Foundation. Guelli has more than 25 years of sales and marketing experience, including 11 years with the NFL’s Buffalo Bills. He initially joined the Bills in July 1999 and rose to the position of Senior Vice President of Business Ventures, where he oversaw all of the organization’s revenue generating properties and the regionalization of the team’s business efforts. A native of Rochester and a graduate of the State University of New York at Brockport, Guelli and his wife, Patty, reside in South Charlotte and have two sons, Gunner and Grayson. 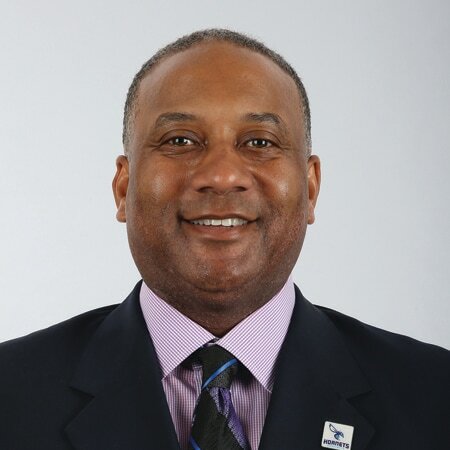 James R. Jordan serves as Executive Vice President of Operations for Hornets Sports & Entertainment, joining the organization in November 2013 after serving as an advisor to the Chairman’s support team since March 2010. Prior to coming to the organization, Jordan was Director of Operations and Administration for the EPS Corporation, Field Service Company located in Fayetteville, North Carolina, since 2006. Jordan retired from the United States Army in September 2006 after 31 years of service as an outstanding soldier, leader and manager with documented success. He served as the 35th Signal Brigade Airborne Command Sergeant Major from February 2002-April 2006 as a part of 18th Airborne Corps Task Force supporting Combat Operations in Iraq and Afghanistan. While deployed, he was the Senior Signal Enlisted Manager of a Signal Task Force that, at times, reached over 3,600 soldiers and contractors spanning throughout both countries. Jordan also served at Fort Bragg from August 1993-February 2002 as the 327th Airborne Signal Battalion Command Sergeant Major and as Bravo Company 327th First Sergeant within the 35th Signal Brigade Airborne, where he was responsible for planning, coordinating and directing the activities of all personnel assigned while in both positions. He was selected to lead an Airborne Signal Task Force that supported a 1,500-person Task Force of soldiers and contractors during Operation Restore Hope in Haiti. As a member of the United States Army, he received numerous awards, including the Legion of Merit Award; The Bronze Star Medal; Meritorious Service Medal (4th Oak Leaf Cluster); Army Commendation Medal (10th award); Army Achievement Medal (5th award); Humanitarian Service Medal; Armed Forces Expeditionary Medal; National Defense Service Medal; Korean Service Medal; Global War on Terrorism Service Medal; Global War on Terrorism Expeditionary Medal; Afghanistan Campaign Medal; Iraqi Campaign Medal; Good Conduct Medal (10th award); and The Signal Corps’ Silver and Bronze Order of Mercury Medals. Jordan and his wife, Blanca, have three kids and they presently reside in Fayetteville, North Carolina, where he is actively engaged in supporting the community. In his 12th season with the organization, Seth Bennett is Senior Vice President of Marketing, Entertainment & Interactive Media for Hornets Sports & Entertainment. In this role, he is responsible for departments including marketing and advertising, event and game presentation, interactive media, creative services, communications, radio and television broadcast, technical operations, the Hornets Fan Shop and team ambassadors. Bennett is also responsible for supervising the business operations of the Greensboro Swarm, the organization’s NBA G League franchise that began play in 2016. Over the last two years, Bennett has served as one of the franchise’s primary leaders in the rebranding to the Charlotte Hornets, managing all aspects of the process on a day-to-day basis. Bennett has more than 25 years of experience in a variety of areas across sports and entertainment. As owner and founding principal of The Event Authority, he produced over 400 live events for various college and high school athletic programs and entertainment entities. That list includes nine HBCU Football Classics, the Jordan Brand Classic high school basketball all-star game and the HoopTee Celebrity Golf Classic, as well as the corporate entertainment for the PGA Tour FBR Open in Phoenix. He also spent eight years working in intercollegiate athletics. Bennett earned his bachelor’s degree in public relations in 1993 from North Carolina A&T State University, where he played football for the Aggies. He currently serves on the North Carolina A&T State University Board of Visitors. He and his wife, Michelle, have one son, Seth Michael. Jacob Gallagher is in his 12th year with the organization and his second as Senior Vice President of Ticket Sales & Services. In this role, Gallagher is responsible for overseeing the team’s sales and services staffs in the areas of season memberships, group tickets, premium tickets and luxury tickets. Gallagher initially joined the franchise as an intern in 2006 before being hired full-time at the conclusion of his internship as a Season Ticket Service Representative. The next year he was promoted to Senior Account Manager and then spent four years as Manager of Season Ticket Services before being promoted to Director of Season Ticket & Premium Services in 2012. After two years in that role, he was promoted to Senior Director of Client Services & Retention in 2014 and Vice President of Client Development & Group Ticket Sales in 2015 before assuming his current role in 2016. Gallagher is also a veteran of the United States Navy. He served for four years, achieving the rank of petty officer third class. While working in naval aviation, he was stationed in Pensacola, Florida; San Diego, California; Jacksonville, Florida; and Washington, D.C. The Oneida, Tennessee, native graduated from East Tennessee State University in 2006 with a bachelor’s degree in sport management. Gallagher and his wife, Laura, have two children, Parker and Ethan. General Manager of Spectrum Center. Julian serves as the lead executive for all aspects of the day-to-day operations of the venue, including event booking, public safety, arena marketing and guest services. Julian directs and oversees the preparation, production and execution of all arena events Recently named one of Venues Today’s 2017 Women of Influence, Julian has placed a high priority on maximizing the customer experience, promoting and instilling a team-wide commitment to creating a service-driven culture for the benefit of all guests who visit Spectrum Center. Julian, who joined the organization on February 1, 2005, has directed the management of a variety of premier events during her time in Charlotte, including performances by showcase acts such as the Rolling Stones, U2, Beyoncé, and Paul McCartney. Spectrum Center has established its industry reputation as a favored site to host an impressive catalog of collegiate basketball championship tournaments on behalf of the NCAA, ACC and CIAA. In addition, Julian is proud to have led arena operational logistics as Charlotte served as host for the 2012 Democratic Convention. In 2019, the Spectrum Center will welcome the NBA All-Star Weekend. Prior to coming to Charlotte, Julian spent 15 years as General Manager of 1st Mariner Arena in Baltimore. She was elevated to General Manager after serving in a number of roles in sales, marketing and event administration for Centre Management, the operating company for the Capital Centre (later USAir Arena), home of the Washington Bullets and Washington Capitals. In 2002, she was named to the Baltimore Business Journal’s Top 40 Under 40 list, honoring her achievements as a leading Baltimore executive. Julian is a member of IAVM (International Arena Venues Managers). 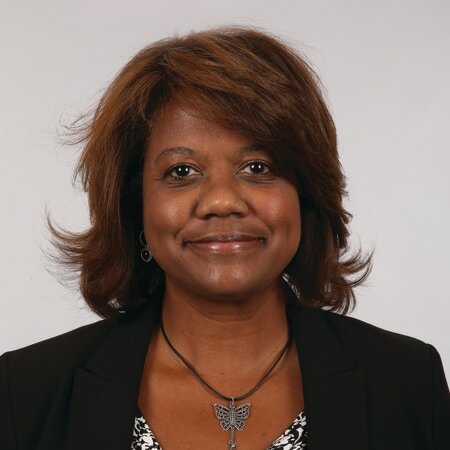 She currently serves on the board of directors of Big Brothers Big Sisters of Greater Charlotte and Women’s Inter-Cultural Exchange, and a is member of Women Executives of Charlotte and previously served on the board of directors of the Children’s Theatre of Charlotte. In 2016, Julian was honored as one of Charlotte Business Journal’s Women in Business, named one of the Charlotte Mecklenburg Times’ 50 Most Influential Women and recognized as one of BizWomen’s Women to Watch. Julian also received the North Carolina Women’s History Month Leadership Action Award. Julian received her bachelor’s degree in athletics administration from Ohio University, where she was a four-year letter winner and co-captain of the tennis team as a senior, as well as a member of Delta Sigma Theta Sorority. She and her husband, David, live in Matthews, North Carolina, with their two sons, Griffin and Donovan. Josh Kramer is in his 11th season with the organization and his third as Senior Vice President of Corporate Partnerships & Creative Services. In this role, he is responsible for generating revenue growth for the franchise and marketing success for its corporate sponsors, managing all sales and servicing of corporate partners. In addition, Kramer also oversees the creative services department, helping shape the Hornets brand and how it is presented. Kramer originally joined the team in 2007 as Director of Event Presentation. After two seasons in the event presentation group, he was promoted to Senior Director of Marketing in 2009 and to Vice President of Marketing & Brand Strategy in November 2013 before transitioning into his current role in December 2015. From 2013-14, Kramer served as one of the franchise’s primary leaders in the rebranding to the Charlotte Hornets, assisting with the management of all aspects of the process on a day-to-day basis. Before coming to Charlotte, Kramer spent eight years in the game operations department of the Miami Heat, including the team’s 2006 NBA Championship season. Kramer is a 1998 graduate of the University of Miami, where he earned a bachelor’s degree in marketing. He and his wife, Carolina, reside in Charlotte. Buzz Peterson enters his first season as Assistant General Manager with the Charlotte Hornets. In his role as Assistant General Manger he collaborates with General Manager Mitch Kupchak on aspects of the team’s basketball operations including professional and collegiate scouting, draft preparations, player acquisitions and salary cap management. Peterson enters his sixth season with the organization overall, previously serving as the Senior Advisor of Basketball Operations, Scout and Director of Player Personnel. Prior to his tenure at University of North Carolina Wilmington, Peterson held college head coaching positions at Coastal Carolina University, University of Tennessee, University of Tulsa and Appalachian State University (Twice), compiling an overall coaching record of 267-227. Peterson, who led Tulsa to the 2001 NIT Championship, began his coaching career as an assistant at Appalachian State before joining Les Robinson’s staff at East Tennessee State for one year and later moving with Robinson to North Carolina State. He also served as associate head coach at Vanderbilt for three seasons. As a player, Peterson was a Parade and McDonald’s All-American at Asheville High School and was named North Carolina’s Player of the Year and Athlete of the Year in 1981. During his four years as a collegian at the University of North Carolina, Peterson helped the Tar Heels to a 115-22 mark, four Atlantic Coast Conference championships, one ACC Tournament title and four appearances in the NCAA Tournament. He was part of UNC’s 1982 national championship team and was voted the outstanding senior by his teammates following the 1984-85 season. Peterson and his wife, Jan, have three children, Nicole, Olivia, and Rob.